" Articles in Category: Comedy Central	"
Over the weekend, we learned that the U.S. Department of Justice has literally rewritten their prosecutorial guidance manual for U.S. Attorneys in order to, among other things, remove the section on the "Need for [a] Free Press". That, just a week or two after we learned, via memos [PDF] written by then FBI Director James Comey immediately after several private meetings last year with Donald Trump, that the President seemed obsessed with the idea of arresting and throwing journalists in prison. "They spend a couple days in jail, make a new friend, and they are ready to talk," Trump reportedly said to Comey, according to one of the contemporaneous memos. Despite all of that, many elite journalists in the corporate media, from the New York Times to NBC News to Fox "News" and beyond, have spent much of their last two days claiming to be outraged by a comedian's routine at the White House Correspondents Association Dinner. The (somewhat grotesque) annual event, which usually features the President (but hasn't in the two years since Trump took office and has refused to attend) is specifically, according to the first several hours of the event and the huge banner on the wall behind the dais, meant for the purpose of "CELEBRATING THE FIRST AMENDMENT". Nonetheless, NBC's Andrea Mitchell and the NYTimes' Maggie Haberman among others in the media, joined high-ranking Republicans to blast that comedian, Michelle Wolf, in the days since the event, demanding an apology for Wolf's jokes that, they claimed, were divisive and, worse, attacked the physical appearance of White House Press Secretary Sarah Huckabee-Sanders. Only problem with that: Wolf didn't attack her physical appearance. She appropriately roasted Sanders (and many others) for lying to the press and the American people every day. 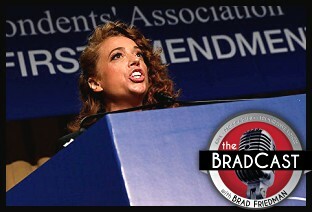 As many have probably heard about Wolf's outrageous "attacks" and what a "bomb" her routine was --- (Trump tweeted as much, along with the journalists, many times since) --- we thought it might be useful and informative to actually celebrate the First Amendment by playing Wolf's entire WHCD routine in full, so listeners can decide for themselves about the corporate media's bizarre response to it...at an annual event where thousands of the country's "access journalists" hobnob and back-slap with the very elected politicians they are supposed to be skeptically reporting on. 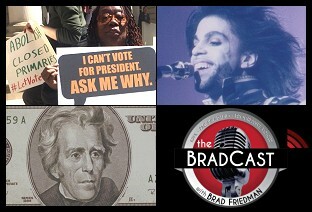 First up, coverage of the shocking loss of musical icon Prince, whose death today at age 57 at his home in Minnesota has stunned the world; Then, Rightwing "outrage" about U.S. President Andrew Jackson, the racist, slave holding, "genocidal maniac" (as Desi Doyen describes him today, with good reason) being replaced on the $20 bill by African-American abolitionist and former slave Harriet Tubman; And some (hopefully) good news about next week's Presidential Primary elections in MD, where voters will, for the first time in more than 15 years, finally be allowed to vote on hand-marked paper ballots instead of 100% unverifiable touch-screen voting machines. Opdycke explains why shutting non-party affiliated voters out of the process is of particular concern in primaries that are run with tax-payer funding and resources. But, he explains, the problem is larger than that. "This is a very serious question. Who does the political process belong to? Does the process itself belong to the people, or does it belong to the political parties? Right now, our democracy belongs lock, stock and barrel to the political parties, from top to bottom. And that is a very big problem and it is beginning to come to light." "What the open primaries movement is pushing for is public primaries, not partisan primaries," he tells me, citing states like California, Nebraska and Washington that hold "Top Two" primaries (also known as "Cajun" or "Jungle" primaries) for many elected public offices, allowing candidates of all (or no) parties to compete against each other to run in the general election. "This is a fundamentally different conception of what a primary is. It's a public primary. Not a partisan primary." 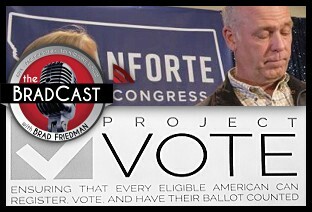 While recognizing that political parties are private organizations with a First Amendment right to organize as they see fit, Opdycke explains how the result blocks people from the process and makes it nearly impossible to change the system. "They control the political process. They control the boards of elections. They control how redistricting is done. They control the primaries. They control voter registration. They control every aspect. 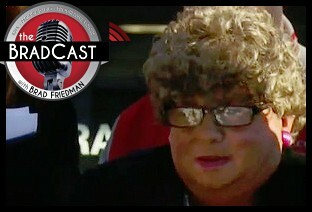 They even control the Presidential debates. And we Americans, we've participated in that. We have in some ways ceded our power to these political organizations and I think the time has come to take that back. Not abolish political parties, but simply return them to an appropriate place." He goes on to respond to various concerns and critiques of "Top Two" primary systems, as we have reported on them in years past (here and here, for example) at The BRAD BLOG, in what I hope is a very enlightening conversation and one that needs to be continued in the months and years ahead, all over the country. 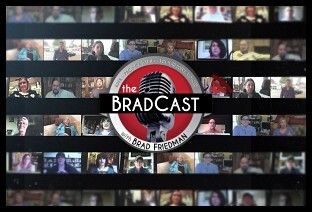 On today's BradCast, we do our best to keep you warm and dry --- and perhaps even provide a smile or two while we're at it --- as the monster snow storm socks the East Coast. 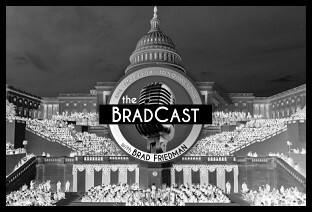 We cover a lot of ground today's show: From the reasons for 'Snowzilla' and the cost of low oil prices; to Obama's victory in court today for his Clean Power Plan; to new signs that the GOP is utterly broken (but why Dems should still be careful what they wish for! 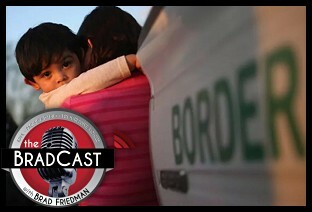 ); to our latest American Islamophobia Update; to new evidence that Open Carry laws are ridiculous; to some very smart listener mail about Dems and health care; and a number of the absolutely craziest effin' things we've ever heard (with apologies to Stephen Colbert). 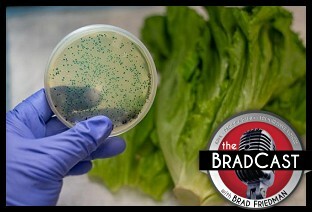 You'll have to tune in to find out what today's graphic (above) is all about. But it is, no doubt, one of the craziest effin' things I've ever heard. Enjoy...and stay warm, dry and safe out there! 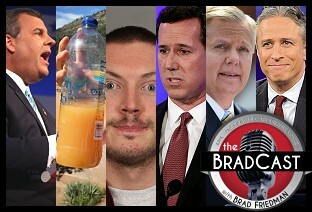 On today's BradCast, we catch up and clean up a number of messes that got buried --- or, in the case of one story, flowed down stream --- amid last week's incredibly busy news week. 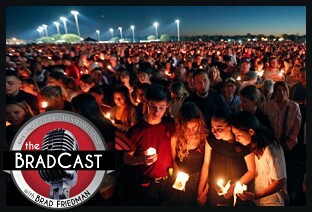 Desi Doyen joins me to cover a whole bunch of stories today: from Jon Stewart's final Daily Show; to the jury's verdict in the sentencing phase for the Aurora, CO movie theater shooter; to the shootings that didn't happen at a movie theater in TN last week; to a few comments from the Fox 'News'/GOP debate that the media didn't focus on because the comments didn't have anything to do with Donald Trump (although one really important one did). Remember that 2009 Dept. of Homeland Security report about Rightwing Domestic Extremism that Republicans forced the Obama Administration to retract? 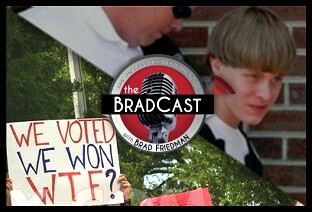 We do --- once again --- on today's BradCast, particularly in the bloody wake of this week's domestic terrorist attack at Charleston's Emanuel AME Church. For some reason, Rightwingers don't want to remember that report, much less describe this week's attack at "terrorism". Wonder why. And so does Jon Stewart. 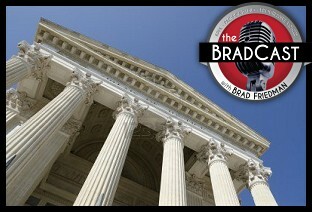 Adam Briggle of FrackFreeDenton.com joins us to discuss how Denton hopes to fight the GOP's Big Government attack on democracy, local control and private property rights across the state --- ya know, all that stuff Republicans like to pretend they believe in. "The industry went to the legislators that they have bought and paid for, and they wrote a new law for them to change the rules," Briggle tells me. "They just bought a new law that changed the standards by which you evaluate the constitutionality of local ordinances." The videos were good for a barrel of laughs. The Director of Florida's Div. of Emergency Management, Brian Koon was forced to engage in verbal gymnastics so as to avoid violating a state ban on using the words "climate change." 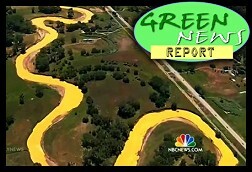 In another clip, replayed by Comedy Central's John Stewart, former FL EPA employee Kristina Trotta uses the words, "nuisance flooding," to evade the ban on mentioning "sea level rise." 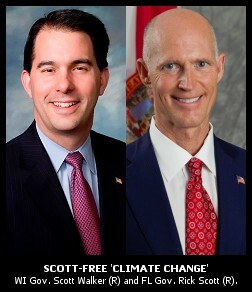 That drew an amusing Stewart suggestion that, in order to evade mentioning that a global warming-connected rise in sea level could eventually lead to an underwater Miami, state employees could refer to "moisture inconvenience!" The exchanges were hilarious. But there is nothing funny about the attempt to erect thought control regimes, first in Florida and now in Wisconsin. In both states, the practice is verging on that deployed by Oceania's Ministry of Truth in George Orwell's 1984. In that classic but ominous work of fiction, written accounts of inconvenient truths were incinerated inside "memory holes."